Regardless if it’s a leaking basement, a broken pipe, or Mother Nature, accidents happen. When it happens, you need a friend who will be there to help w ith the carpet drying job and insurance. Auckland Steam n Dry are the Auckland carpet drying specialists. Whenever you need us day or night for drying carpet. So, we’ll be able to handle your emergency with expert carpet drying and state-of-the-art extraction equipment. For Auckland Steam n Dry Flood recovery experts, call 0800 783-266 or email ASAP. There are lots of ways excess flood water can get into your home, but just one best way to get it out. Contact Auckland Steam n Dry carpet drying experts. Your best choice for emergency flood dryers. You will speak with a certified carpet drying specialist on the phone and have a flood recovery technician dispatched within 15 minutes of your call. Excessive moisture can cause serious water damage to building materials and cause mold and r health problems. 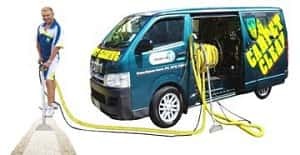 When you use Auckland Steam n Dry carpet drying services and restoration dehumidifiers hire and services, you can be certain that our drying expertise will get the job done the correct way, saving your building from excess moisture, health issues, and unnecessary expenses. Advise you on what to do to minimize damage until our crew arrives. Dispatch certified, trained, and experienced dry carpet dryers to your home within three hours or less. 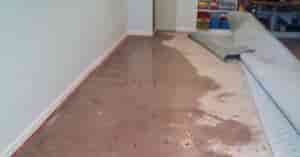 Pump out flood recovery water quickly, and then extract water from drying carpet, underlay, and upholstery cleaning. Remove wet carpet and underlay if deemed necessary. We will then clean, dry, and reinstall carpet and underlay based on international and Auckland Council standards. Provide professional flood carpet dryers for a quick drying process of your home and its contents. This stops the secondary damage risks and germ growth from slow carpet drying. Use moisture meter’s to locate hidden pockets of water and to best monitor the dehumidifiers and drying process. Work directly with your insurance company, to process Auckland carpet drying claims and get your home back to normal as soon as possible. Make sure your home’s structure and contents, are dried to below 18% whereby mold and mildew spores cannot persist in accordance with Auckland Council standards. For the Auckland Steam n Dry carpet drying flood recovery service experts, call 0800 783-266, or email Auckland Steam n Dry ASAP.